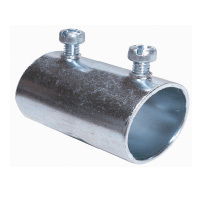 EMT Fittings are used with EMT (Steel) Electrical Conduit. G&S Supply has a large inventory of EMT fittings manufactured by Topaz, Bridgeport, and other approved manufacturers. Our steel electrical fittings fit all standard EMT electrical conduit. Our EMT Fittings include EMT Couplings, EMT Connectors in both insulated and non-insulated options. EMT Fittings are used with EMT (Steel) Electrical Conduit. G&S Supply has a large inventory of EMT fittings manufactured by Topaz, Bridgeport, and other approved manufacturers. Our steel electrical fittings fit all standard EMT electrical conduit. 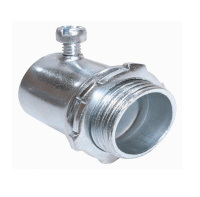 Our EMT Fittings include EMT Couplings in both insulated and non-insulated options.